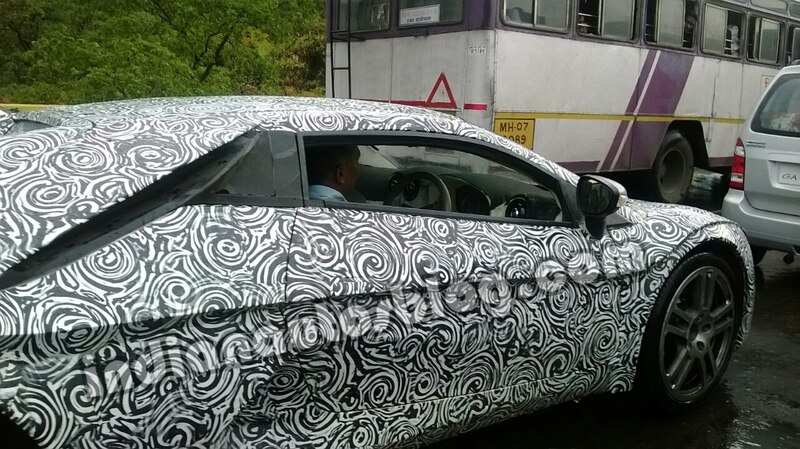 Indian Autos Blog reader, Ms. Shradha Niranjan, snapped the production version of the DC Avanti on the Pune Expressway recently. While the concept Avanti was unveiled at the 2012 Auto Expo, this year's edition saw DC Design unveil the production ready sportscar. The DC Avanti production version made its debut at this year's Auto Expo. Power for the Avanti comes from a Ford EcoBoost engine. This 2.0-liter unit is capable of producing 250 hp and 360 Nm of torque and comes matched to a 6-speed manual transmission. DC claims the Avanti will do the 0-100 km/h run in 6 seconds. The Avanti weighs 1,580 kg and has a ground clearance of 170 mm. Further technical specifications and details remain unannounced by the company. Power for the Avanti comes from a 2.0-liter Ford EcoBoost engine. The Avanti should have a starting price in the region of INR 25-30 lakhs. In an interview earlier this year, DC Design's head, Dilip Chhabria, said that deliveries of the Avanti would commence by February 2014, though this has not been the case. Compared to the concept, DC has made a few changes to the production ready Avanti. Foglights have been integrated onto the headlight clusters, and winglets on the bonnet have been provided to improve aerodynamics of the car.